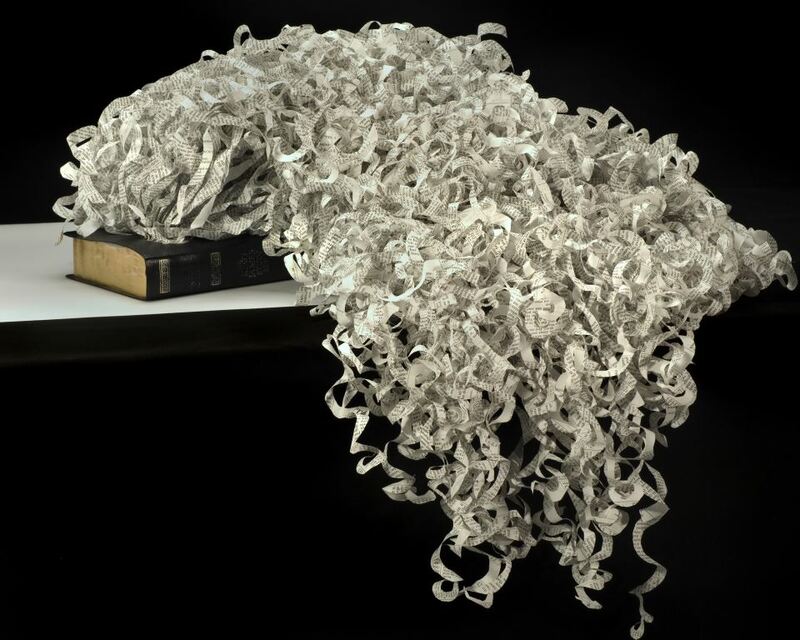 Sunday, November 17, 2019 – 3 to 4:30 p.m.
Linda Ekstrom’s work is anchored in the book as a cultural and symbolic object. Through her altered books and other mixed media works, she seeks to uncover and articulate a profound sense of mystery. She explores the subjects of narrative, person, place or event through the perspective of larger religious thought, history and ritual. Ekstrom received both a Bachelor of Arts and Master of Fine Arts from UCSB and is on the faculty for the College of Creative Studies at UCSB. Join us for AfterGLOW, a celebratory supper at the home of Dane Goodman & Marie Schoeff immediately following the program. Paid reservations are essential & required prior to November 12.We expect this AfterGLOW to sell out.